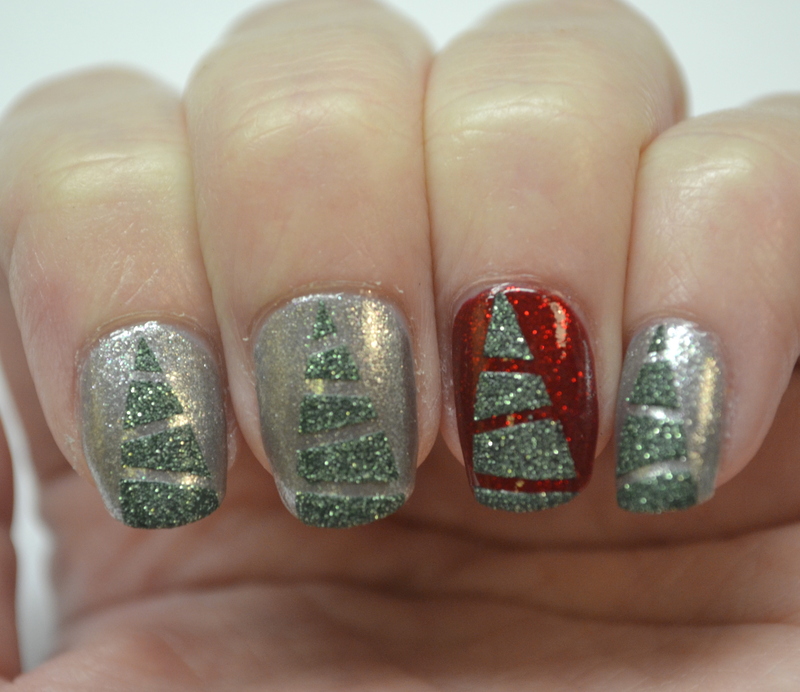 CYNA 12 Days of Christmas, Day 2-Christmas trees! 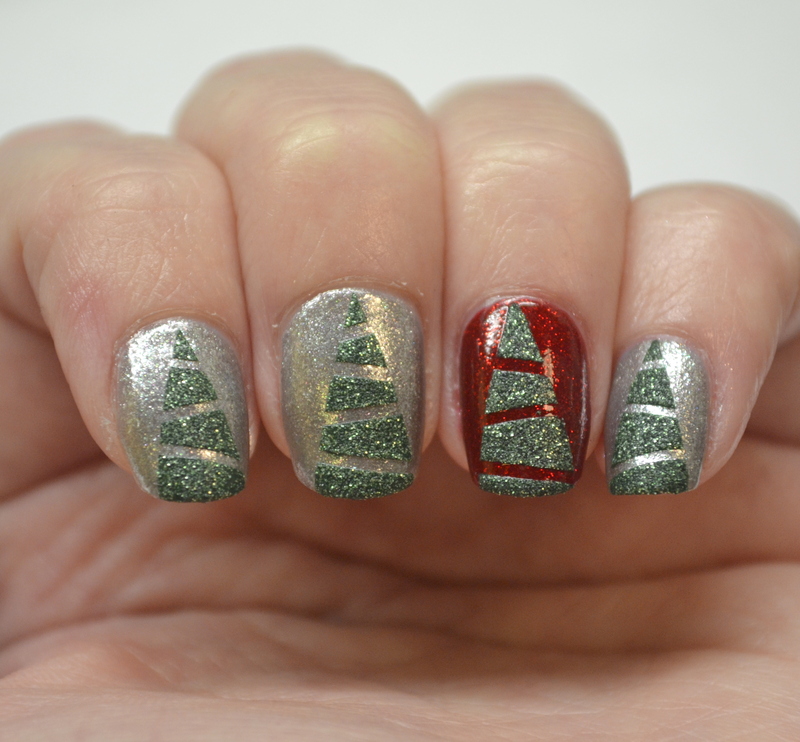 December 3, 2014 / Rachel C.
Today is Day 2 of the Challenge Your Nail Art 12 Days of Christmas challenge, and that means Christmas trees! I’ll be honest, I wasn’t feeling especially creative today. I thought briefly about doing a Charlie Brown tree or maybe trying to recreate the tree made of Mt Dew cans that I made a few years ago, but I just didn’t feel like it. 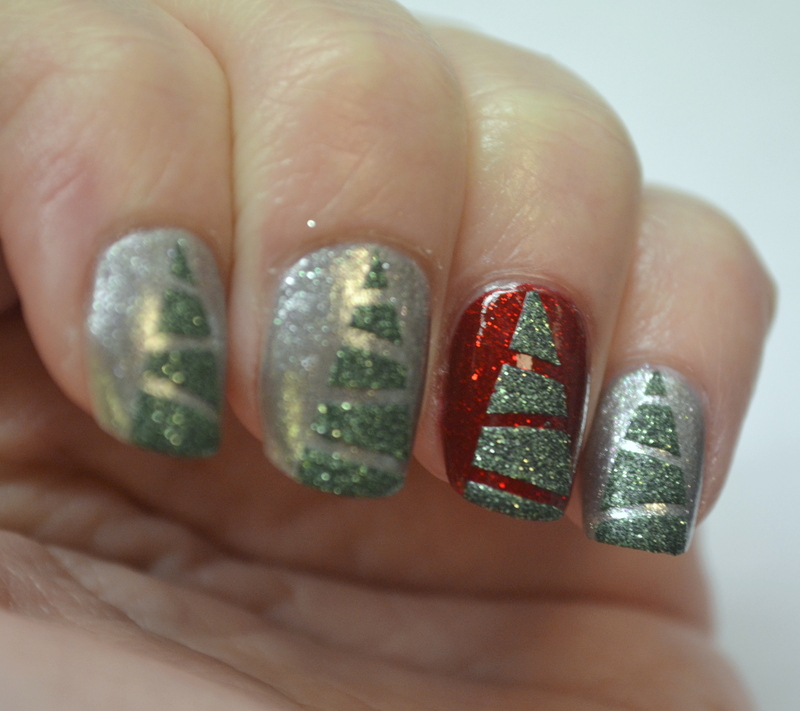 That being said, I went for the classic chevron-inspired Christmas tree nail art. 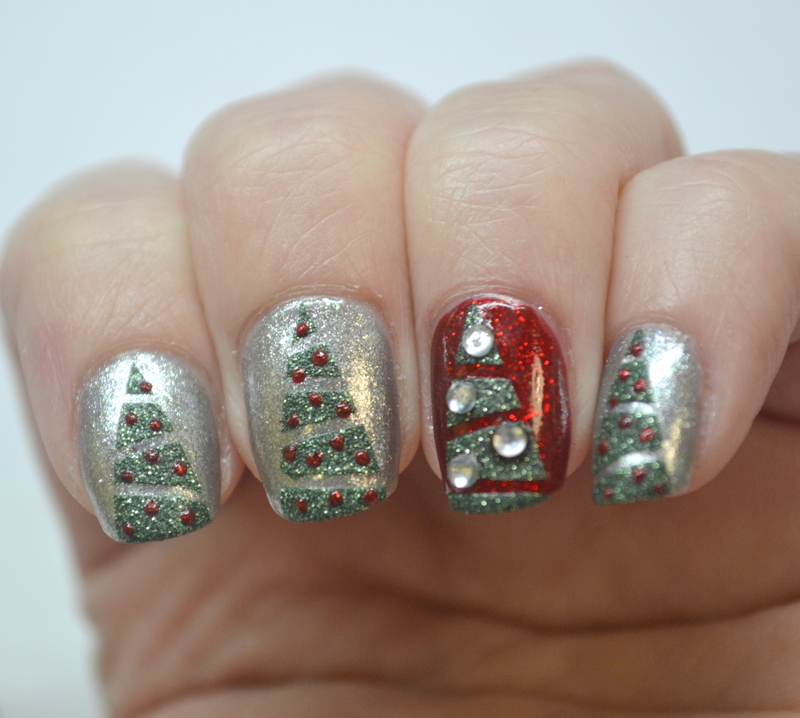 I used China Glaze Ruby Pumps and Kleancolor Silver Spark as my background colors, then taped off the tree and garland and used Zoya Chita (a PixieDust) for the tree itself. I was going to stop here because I thought it looked pretty, but it seemed a little incomplete. 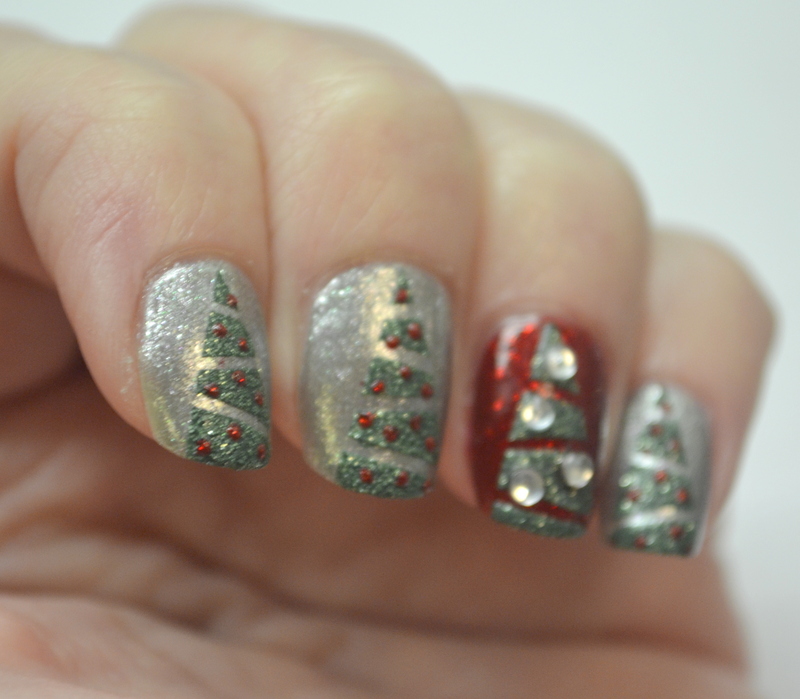 So using Ruby Pumps and some rhinestones, I added ornaments! Don’t forget to go check out the trees that everyone else did too! ← ALIQUID Lacquer Fantastiversary Nail Art Contest! 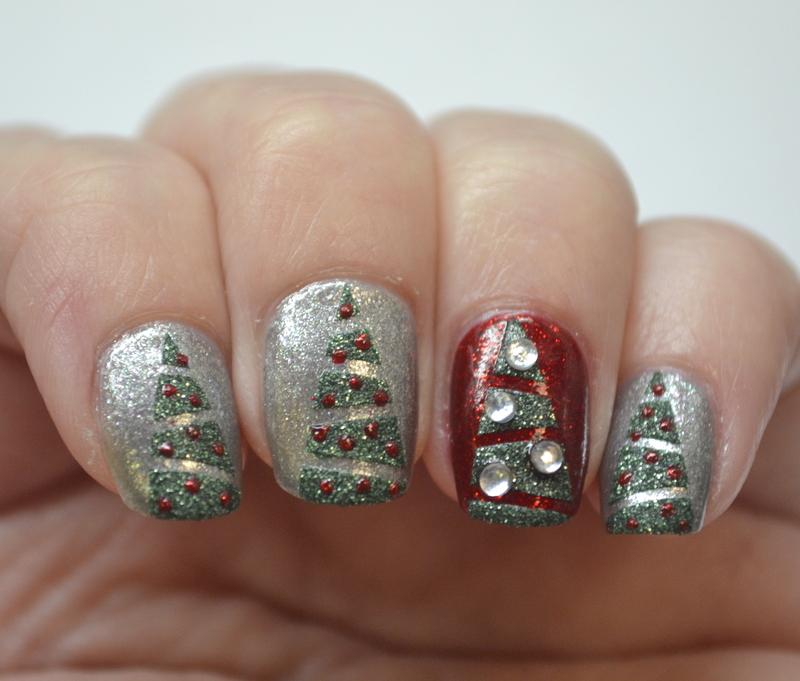 I love that you added ornaments to the manicure, totally completes it!